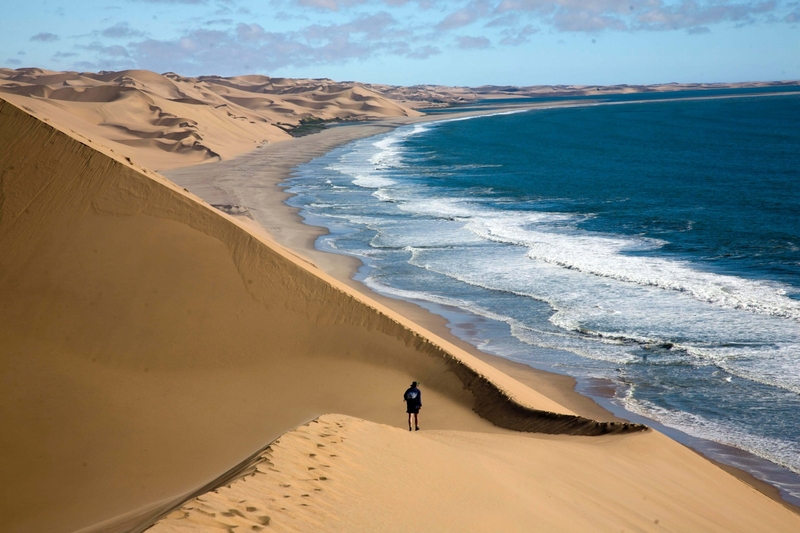 Sandwich Harbour is part of the Namib Naukluft Park where the desert sand dunes run right into the ocean. 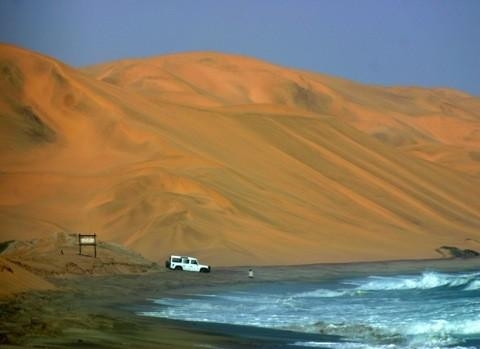 Sandwich Harbour 4x4 is based in the port town of Walvis Bay and provides 4x4 excursions to Sandwich Harbour and the Walvis Bay Wetlands. 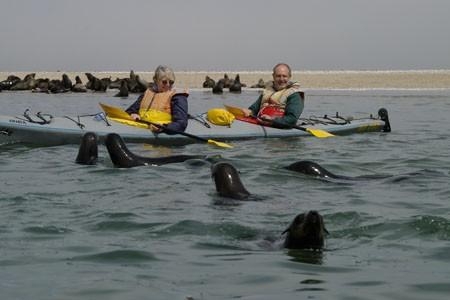 They also offer combination tours including the popular marine cruise or kayaking and birdwatching activities. 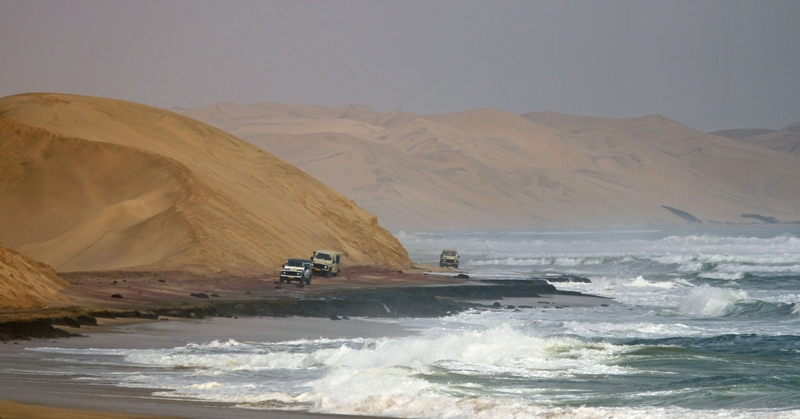 Sandwich Harbour 4x4 has been operational since 2009. 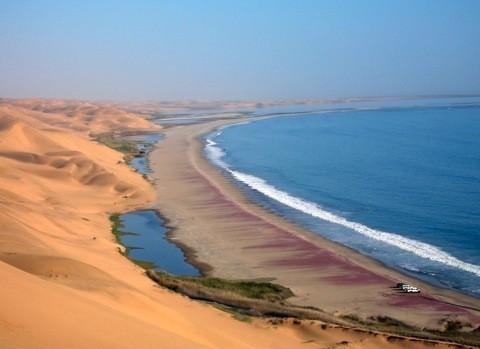 The Namib Naukluft Park is one of the dryest areas in the world and as such there is flora and fauna that has had to adapt to these conditions including the !nara plant which is the staple food for the indigenous Topnaar community that lives in the nearby Kuiseb river delta. 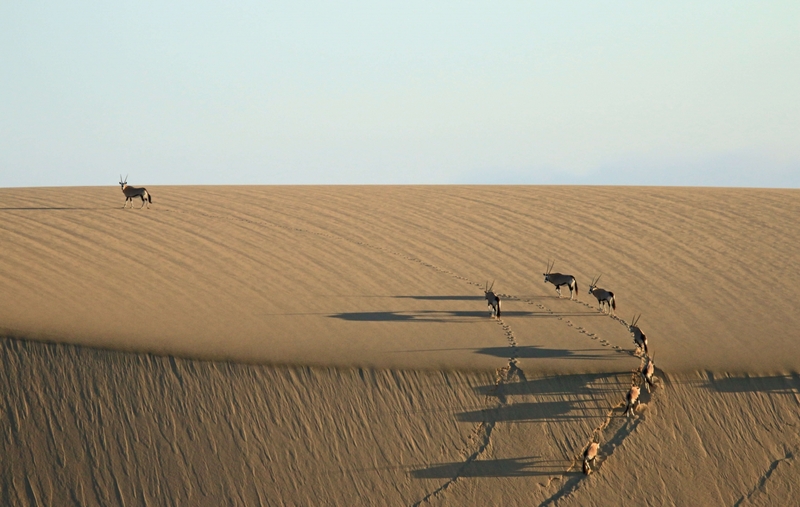 There are also shovel-snouted lizards, palmetto gecko and fog-basking beetles. 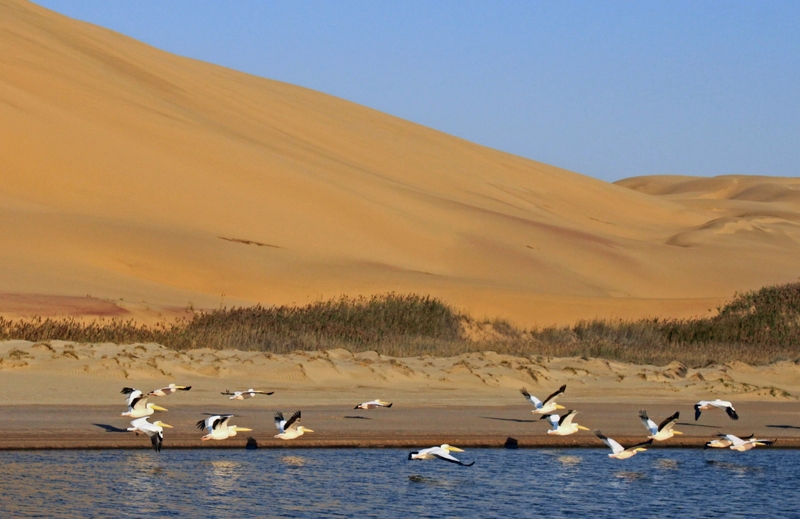 There are also various snakes and scorpions that can be sighted very seldom. 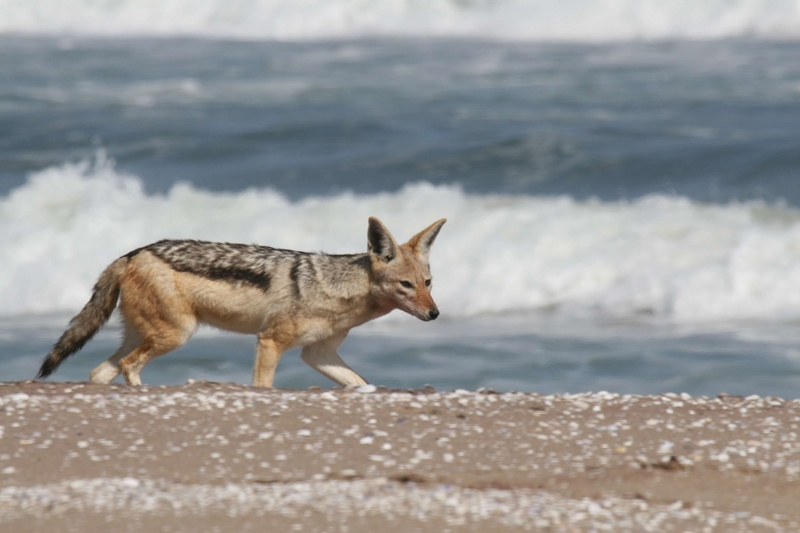 Sandwich Harbour is also home to springbok, ostrich, black-backed jackal and the brown hyena.Young seals can also be seen frolicking about on the beach near Sandwich Harbour and visitors can also see bottlenose and heaviside dolphins. 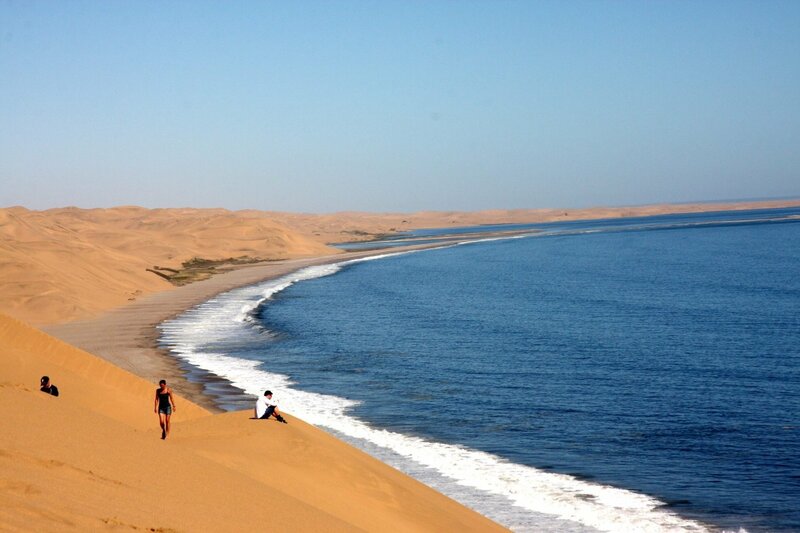 The Sandwich Harbour Lagoon is one of Sandwich Harbour 4x4's highlights, it is located 55km south of Walvis Bay. 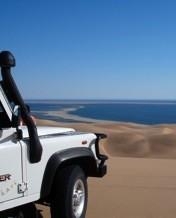 The lagoon is surrounded by sand dunes and is only accessible by 4x4 if the tide allows. 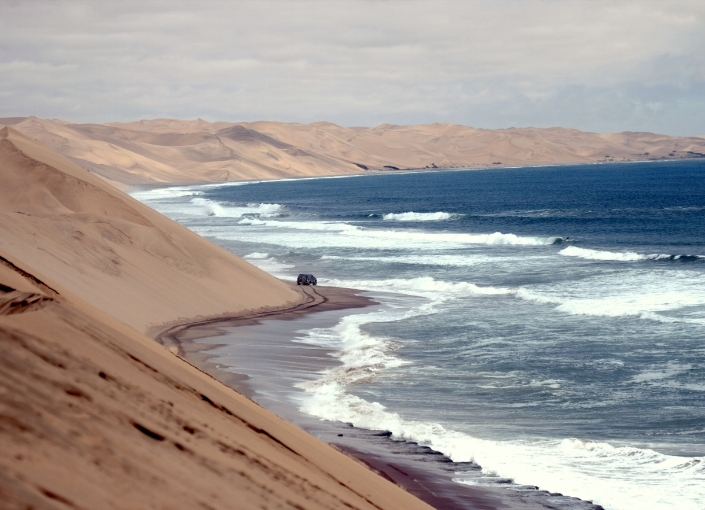 Sandwich Harbour 4x4 provides excursions to the Walvis Bay Lagoon, the Saltpans, the Kuiseb river delta and Sandwich Harbour, also to the Sandwich Harbour Lagoon depending of the conditions. 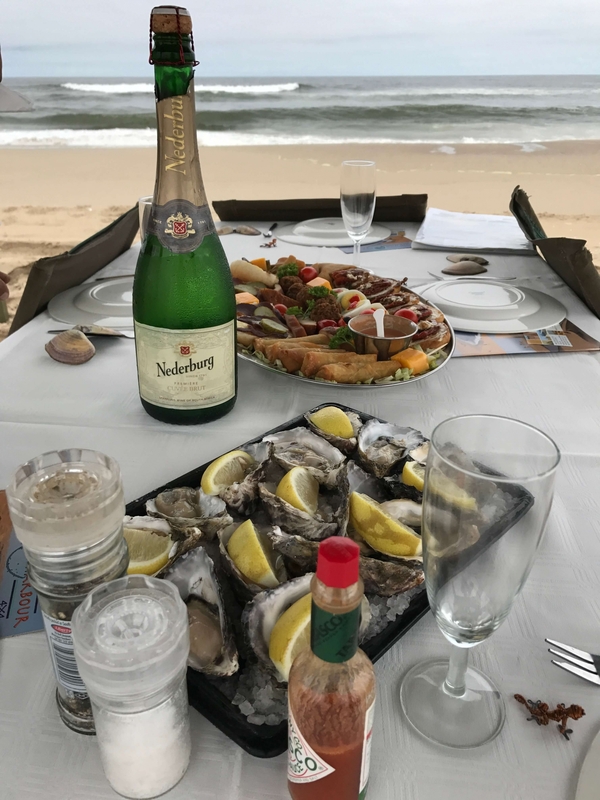 Lunch, drinks and permits are included.